Thank you for choosing Net Atlantic for your web hosting. For further information, please review our frequently asked questions and the in-depth guide to cPanel. The cPanel file manager allows you to modify content and files using easy point-and-click uploading, editing, copying, and more. Please contact us with any questions or comments. 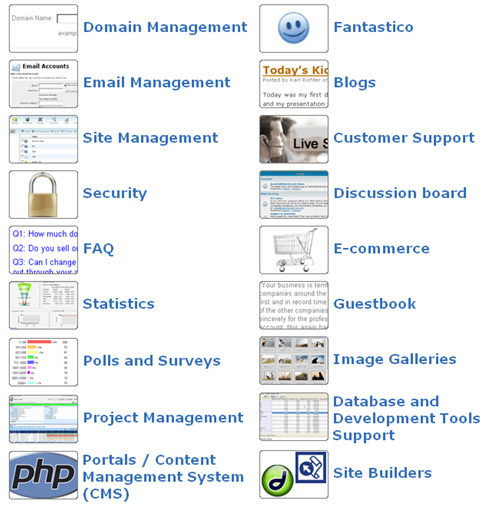 For your site to appear on the Internet, it needs to live in your site’s public_html directory. You can use the FILE MANAGER to upload files to this directory and to other directories by using the Upload file(s) option. 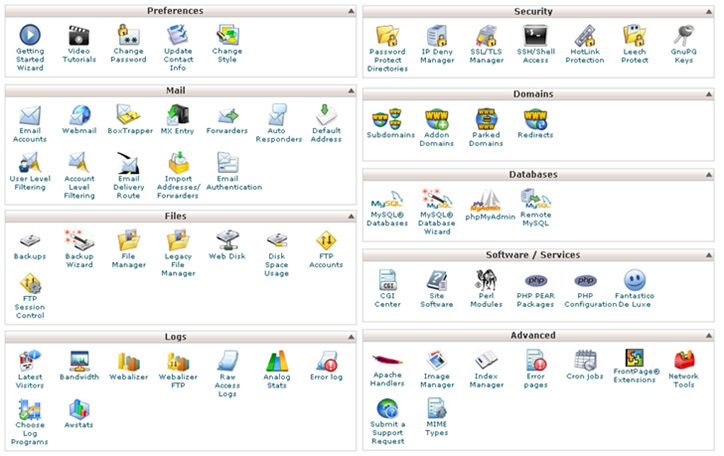 To access the FILE MANAGER, click on the icon above the words File Manager on the main screen of your cPanel interface. Click on the words Upload File(s). Click on a file to upload from the pop-up window. Click on the open button and the window will disappear. Repeat steps c) through e) to choose more files. When the list is full or you have no more files to upload, click Upload. You will be brought back to the FILE MANAGER in the directory where you have uploaded the files. NOTE: If the upload was successful, "Upload Status filename.extension (filename.extension): upload succeeded", will appear. The "filename.extension" will be the name of the file(s) you have uploaded. If you want to create the pages in a different program and then upload them without using the file manager, you will need an FTP (file-transfer protocol) program. These programs will use your FTP Access settings (sent in your welcome email) to connect your site and upload files. Your Web server contains Microsoft FrontPage server extensions that can help make it easier to publish or upload your Web site. You can also create interactive forms with the FrontPage Forms Wizard, add a counter, write to a database, and much more. Important Note: If you used Microsoft FrontPage to develop your Web site and the site uses FrontPage server extensions for counters, forms, search tools, and databases, you must use FrontPage’s publish feature to upload your site (do not upload your site with an FTP program). Video Tutorials, WebMail, Online File Manager, Webalizer Traffic Reports, SSH/Shell Access, Parked Domains, MySQL Databases, CGI/PHP Scripts, an Image Manager, and more. If you are interested in using Windows NT hosting, please contact our Technical Support department so that we can answer your questions. By default, the server will look for in order and display the first of these pages it finds when someone simply enters either yourdomain.com or www.yourdomain.com. Your home page name must use lower case letters. Now that your Web site is published, you need to know who visits. You can easily view various tracking reports and statistics by clicking on the Webalizer icon in the “Logs” section of your cPanel home page. Webalizer reports show the number of hits your site received, top search terms that found your site, pages most frequently visited, and more. Check frequently to analyze web traffic, and respond to the results. Your account comes with a minimum of 10 free POP (post-office protocol) email accounts visible on the main screen of the cPanel interface. If you need additional email accounts, please contact technical support to upgrade. To access the Mail Menu, click the icon above the word “Mail” on the main screen of your cPanel interface. Click on Add/Remove Accounts to enter Mail Account Maintenance. Enter the account’s name, password and quota (maximum amount of disk space allotted) in the respective fields. The email account test@email.com with the login test@email.com and password testpassword with a quota of 10 megs was successfully created. Retrieve, compose and manage your email from Webmail or through an email program with POP access. You can also set your email to automatically forward to another email address. Your webhosting account is protected by the DSPAM software that protects your inbox from unwanted spam. DSPAM is flexible and can be retrained if it erroneously marks a message as spam, or lets a bad email through. You will need to create a POP account (see above) to use this feature. To log into DSPAM, go to http://antispam.yourdomain. Enter your username (full email address) and password (email password). Training – You can place the DSPAM signature in the body or header of the email to help teach DSPAM how to handle messages it mislabels as spam. “Quarantine” puts spam into the quarantine folder and the mail is only visible when logging into DSPAM. “Tag the Subject” will put a custom note into the subject line of any spam while still delivering to your inbox. “History” shows you all messages that have been processed. You can mark items as “spam,” teaching DSPAM to block similar messages in the future. You can also mark items as “not spam” so DSPAM will allow delivery to similar messages. With our full array of Web features you can create a secure online shopping environment, custom blogs, manage your frequently asked questions, and more. Check out our resource page for helpful information. Please contact us with any questions or comments. We are happy to be of service.